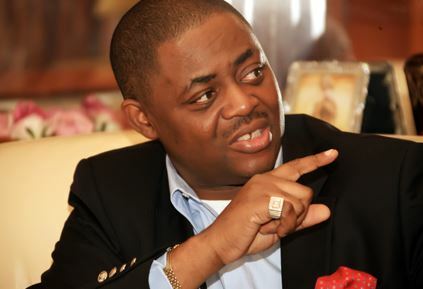 He said, “My brother, Musiliu Obanikoro’s decision to join the APC irks and saddens me. I say this because I have always loved him and I care. You cannot fight evil by joining it. You cannot bring light by entering the darkness. You cannot find joy by partaking in the bread of sorrows. 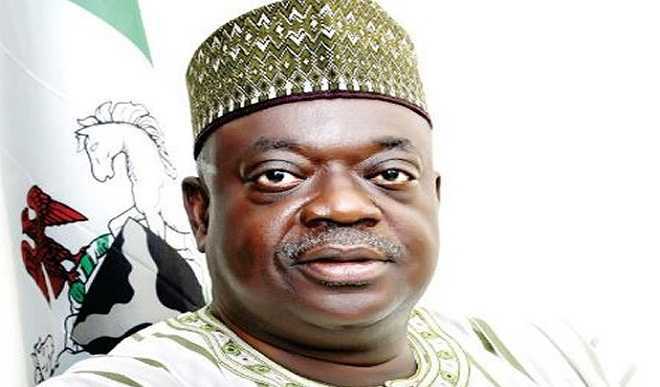 A Minna High Court on Tuesday ordered that former Governor of Niger state, Babangida Aliyu, alongside the Peoples Democratic Party governorship candidate in the 2015 election, Umar Mohammed Nasko, be remanded in Minna medium Prisons pending a ruling on bail application on May 3rd, 2017. According to the presiding Judge, Justice Aliyu Mayaki, the case is to be opened on June 12, 2017 and to be held day by day till June 16. The ruling on their bail application is to be delivered on 3rd May, 2017. They are to be remanded in Medium Security prisons in Minna. Lead Counsel for the EFCC, Gbolahan Latona, had levelled six charges against Aliyu. When the charges were read to them (Aliyu and Nasko) by Justice Mayaki, they pleaded not guilty. PDP has reacted to the suspension of the Secretary to the Government of the Federation, Babachir Lawal. President Buhari ordered Babachir’s suspension and investigation on claims that he allegedly used his office as Chairman of the Presidential Initiative of On The North East PINE to award fictitious contracts to some companies he reportedly has links. In a statement released today, PDP faulted the move by the President to only suspend Babachir. The party alleged that while their members are being arrested on allegations of fraud, members of this administration that have been linked to fraud are merely being suspended and then investigated. The party is calling for an independent investigation panel into the allegations against Babachir. Not surprisingly, some Nigerians have applauded the Suspension of the Secretary to the Government of the Federation, Babachir David Lawal and the Director General of the National Intelligence Agency, Ambassador Ayo Oke as indicating a new commitment by President Buhari to fight the anti-corruption war without fear or favour but we are constrained to point out that it is another ruse to deceive Nigerians and dress up the failed anti-corruption war in a new garb. Let Nigerians recall that the Senate of the Federal Republic of Nigeria did set-up an Ad-Hoc Committee in 2016 headed by Senator Shehu Sani, a Senator representing Kaduna Central, to investigate the expenditures and activities of the Presidential Initiative for North East (PINE), which Engr. Babachir in his capacity as the SGF was overseeing. The Committee also investigated the alarming rate of humanitarian crisis in the North-East occasioned by the diversion of grains from the Strategic Grains Reserve and other food supplies meant for the Internally Displaced Persons (IDP) in that Region. Consequently, the Senate Ad-Hoc Committee indicted the SGF, Engr. Lawal for the mismanagement of PINE Funds and the Award of Multi-million Naira Grass Cutting Contract to one of his companies, Rholavision Engineering Limited and other ghost companies. The Senate in December 2016 after its investigation, recommended the resignation of the SGF, Engr. Lawal and asked President Muhammadu Buhari to ensure his prosecution. But in a swift reaction, President Buhari in a letter dated January 17, 2017 Titled: “Re -Resolution by the Senate of the Federal Republic of Nigeria concerning the Humanitarian Situation in the North East Region, Particularly in relation to the alleged role of the Secretary to the Government of the Federation (SGF), Engr. 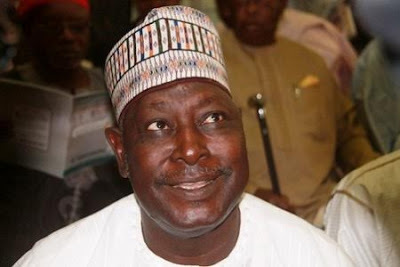 David Babachir Lawal in the contract implementation regime of the Presidential Initiative for North East (PINE)”, discredited the Senate recommendations and refused to sack or prosecute Engr. Lawal but instead, cleared him of all wrong doing. In this context, we are alarmed at the Suspension of the SGF at a time that Nigerians and the International Community are excitedly enjoying the Theatre of the Absurd playing out with the Recovery of huge sums of money without owners. 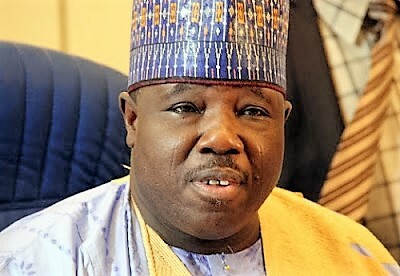 Now the APC led Federal Government suddenly realized the corruption allegation levelled against the SGF; and instead of arresting and detaining him as the Government has been doing to PDP members and other Nigerians, he was rather suspended and a committee set-up to investigate him. This is to say the least, double standard. We are at a loss why the President would set up a panel comprising members of his Cabinet to investigate other senior very powerful members of the same Executive. Where is the transparency in that? Not that we doubt the integrity of the Vice President (for whom we have the utmost respect) and other panellists but it appears the matter is being settled within the Government Closet without the transparency , independence and impartiality necessary in a situation like this. Justice must not only be done, it must be seen to have been done. This is especially important given the fact that we recently travel this road when the President asked the Attorney-General to investigate the SGF (on this same matter) and Magu, the Acting Chairman of the EFCC. That investigation cleared the SGF of all wrong doings in the Grass Cutting Scandal as stated above. It is amazing that the President who swiftly accepted the recommendations of the Attorney-General would now suddenly set-up another panel comprising the same Attorney-General to investigate the matter again. The Pertinent question is whether the President has now realized that the initial investigation by the Attorney-General was not thorough or a cover-up to protect a fellow Cabinet member. If that is the Case, then the President need to come clean with Nigerians by formally repudiating and rejecting the Report. He must then tell Nigerians why the author of such a dastard, useless and worthless Report should be included in the new Panel. Against this backdrop, we are constrained to express our lack of confidence in the New Panel headed by the Vice President. Instead, we demand an independent commission of inquiry comprising eminent Nigerians of proven records of integrity, independence and competence. This is the only way by which we can have confidence that a thorough and impartial investigation will be conducted and by which the President also can reassure the general public that there are no sacred cows in his Government for whom there are different set of rules. The present situation amounts to the Government being the Judge in its own cause. We do not believe that justice can be served that way.